Arizona Paralegal Association - APA Webinar: IMMIGRATION LAW TODAY - DACA, Cross-Border Issues, Asylum and more, by esteemed Immigration lawyer Kelsi Karim, Esq. APA Webinar: IMMIGRATION LAW TODAY - DACA, Cross-Border Issues, Asylum and more, by esteemed Immigration lawyer Kelsi Karim, Esq. Coupon can only be used once during the current year. Thank you for registering! The login instructions for this webinar will be sent to you on Monday and Tuesday before the webinar. Check your spam filter if you do not receive an email with the login instructions. Thank you! "IMMIGRATION LAW TODAY - DACA, Cross-Border Issues, Asylum and more"
Join us as esteemed Immigration lawyer Kelsi Karim presents a one-hour CLE webinar on the latest updates on DACA, administrative hurdles in Cross Border issues in non-criminal asylum matters, processing visas and green cards, citizenship, as well as legal matters abroad. Immigration law is constantly changing, so this is a good time to brush up and learn from the best! Since 2006 Mrs. Karim has practiced law both in Arizona and England. Mrs. Karim moved back to the United States in 2012 to establish her immigration practice after working for a top 50 Legal 500 firm in the United Kingdom. 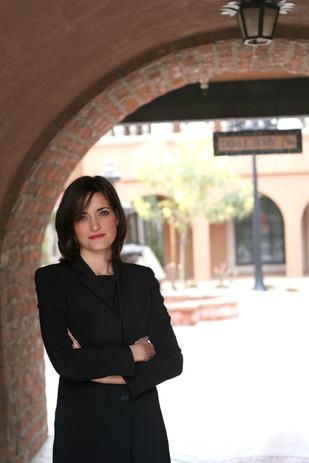 Prior to that Mrs. Karim gained litigation experience in Arizona as a prosecutor, a managing partner in private practice and participation in various community programs. Mrs. Karim has also traveled England, Scotland, Wales, Ireland, Canada, Mexico, Egypt, the United States and Caribbean Islands. Last day to register: Saturday, November 4, 2017. This seminar qualifies for 1 hour CLE credit.